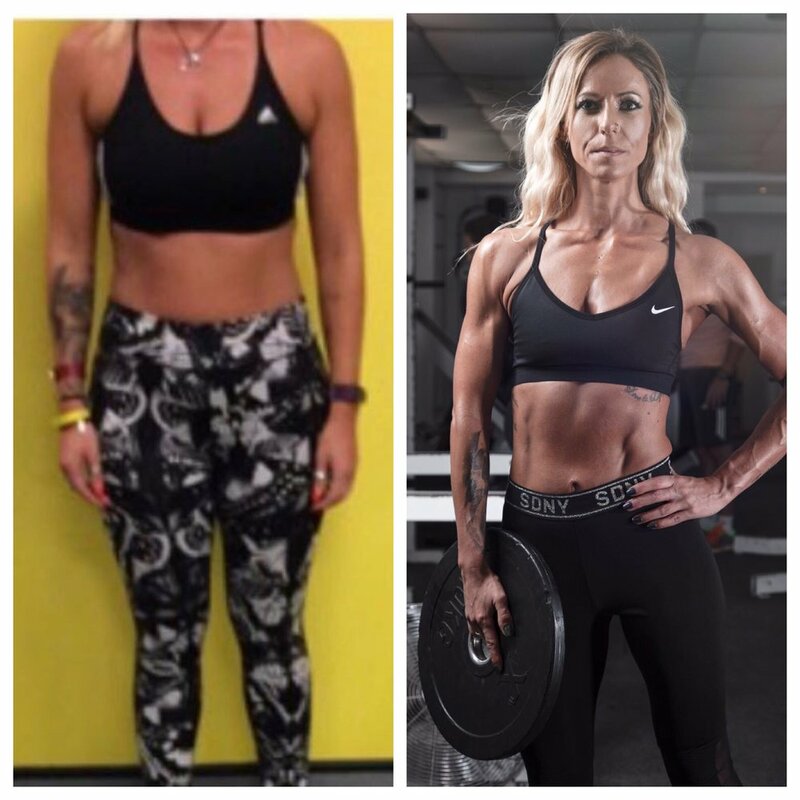 "While training with alex he put more structure into my training plan, along with a diet plan to fit my daily needs, In order to grown and stay lean. Pushing me to my limit to increase my size and strength and improving my fitness." "Being an inconsistent gym goer I needed some extra motivation and always wanted to achieve every mans dream of a 6 pack! After starting with Alex he made it clear that we would work on all areas and give me something that can be maintained easily so it becomes a lifestyle rather than fall off the tracks. Over the course of 12 weeks seeing Alex twice a week plus implementing different foods and calories I was able to achieve what we set out. Using the high fat and low carb diet worked well for me. This allowed naughty days aslong as other days were strict. I shall keep on top of it myself more plus still be using Alex on a weekly basis to make sure we do not lose the hard work put it and keep improving my physique"
"Alex has been my personal trainer for nearly three years. I was one of his first clients when he qualified. Over those three years Alex has gained confidence and has pushed himself to learn more. With this gained confidence and knowledge he has encouraged me to push my boundaries. At the start I was just there to strengthen my legs. As a sufferer of arthritis in both knees I needed to work on balance and to build up the muscles around the area. I could not squat, I could not lunge and I certainly could not run. With Alex’s help and encouragement I have gone further than I thought possible. I have lost weight, changed shape and gained the confidence to push myself. As I write this, I am currently sitting in a hostel in Yorkshire. Yesterday I walked ten miles and climbed 2000ft. I still can't believe I did it. This was something I never thought was possible. Thank you Alex, I could not have done it without you." Aaron has been a good friend of mine for years now and we have trained together on and off for years. After supplying Aaron with the correct diet / supplementation for him to lose some body fat and increase lean mass his results speak for themselves. "I suffered a fairly serious back injury two summers ago, where I fractured my lower spine! After my test period of about 10months I put on a little weight and my muscles especially my back grew weak! So I decided once my doctor gave me the go ahead to slowly exercise again, to get Alex to train me initially for so rehab session on my back! Alex was great he started me of slowly and took care to focus on my affected area whilst training the other muscles to support my efforts! Within a few months I could feel so much improvement in my back due to the strengthening and conditioning Alex put me through! After about 3/4months of rehab I decided to start training other areas of my body more to rid that weight I put on and get me back to my fitness levels! Within a few months more I saw brilliant changes in my body after careful guidance by Alex he made sure I was always doing the correct form and how to incorporate most muscles especially my core and back in most exercises which again improved on my back! I have continued to carry on what Alex has taught me and still go back to him for one on ones when I want to learn something new as I know he is always bettering himself and his knowledge!"